Most often when we think of our worship, it is contained within the four walls at church. Singing and exalting God corporately with one voice is GOOD and right, but we are also to ‘sing of the goodness of God’ out in our world. Our expression of worship to God, service to Him, is service to others. When Moses humbly asked God, ‘Show me Your glory’ (See Exodus 33 & 34) he was, in essence, asking, ‘Who are you God, show me.’ God answers by tucking Moses in the cleft of the rocks and passes by – He proclaims of Himself, “The LORD, the LORD, the compassionate and gracious God, slow to anger, abounding in love and faithfulness…” (34:6) some translations, ‘Abounding in goodness, mercy, and truth.’ THAT is our God! God is not what we think He is – He is what He says He is. Throughout history, Israel would take off in its own direction, mess things up and God was continually coming alongside. Fast forward to Jesus, there is NO better way to express compassion, the goodness of God to a messed up people than sending His very best – Jesus. Jesus was compassionate; He healed and fed the people. Because of His compassion, He authorizes the disciples for deliverance and healing and sends them out (Matthew 9:36-10:5). Paul, numerous times, tells us to ‘put on…’ we are to put on Jesus; put on compassion, kindness, humility, meekness, forgiving one another…” (Col. 3; Gal. 3; Eph 4; Phil 2; Ro. 13:14). Folks, God is continuing to answer – we are His continued answer. Through us, the world sees God, sees His goodness, graciousness, His mercy. Remember the Parable of the Unmerciful Servant (Matt 18:21-35) the one who received huge (HUGE) compassion, mercy, and forgiveness, turns around and denies the same to another, Jesus closes the parables message with “Shouldn’t you have had mercy on your fellow servant just as I had on you?” How we treat others is our response to how WE have been treated. 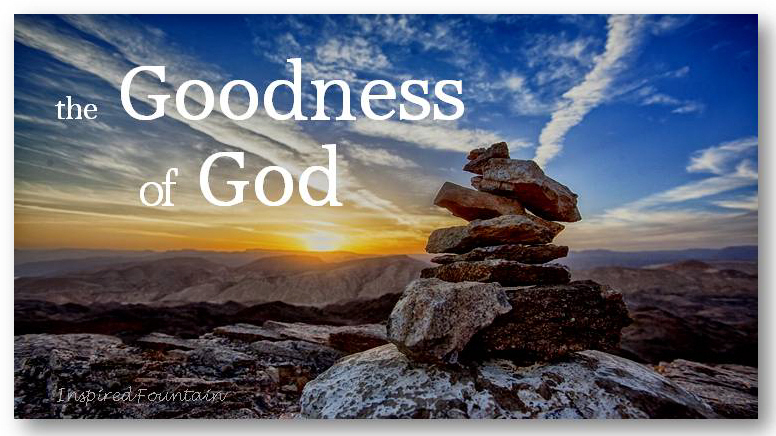 Withholding the goodness of God is lazy, (OUCH!) it is selfish, (OK! THAT hurt!) selfishness is rooted in the thief’s tactic of ‘stealing – killing and destroying’ (John 10:10) Let’s not play into his hand, let’s not withhold the goodness of God, HIS mercy extended through us, HIS love and kindness – let the world see God answer! *This is an excerpt from last night’s teaching at my local women’s bible study. Have a listen: [ https://www.youtube.com/watch?v=n0FBb6hnwTo ] listen to the end, close your eyes, throw your head back, raise your hands!